The School of Clinical Medicine rents two 4 bedroom flats on the Addenbrooke’s site for the use of Cambridge Elective Students. The accommodation is provided as part of the placement and it is compulsory that all students wishing to undertake an Elective Placement use the accommodation provided. 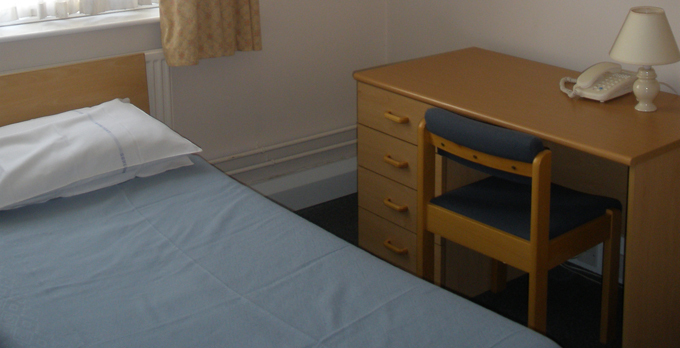 The accommodation is secure and provides ease of access by being located on the Addenbrooke’s site. 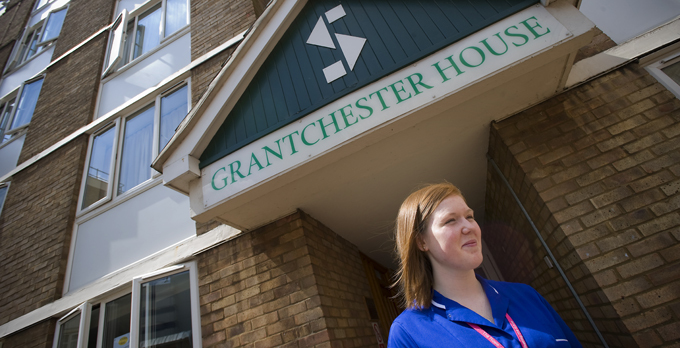 Granchester House is no more than a 5 minute walk from the main hospital entrance and Clinical School. Many students who share accommodation arrange social events together and with current Clinical Medical Students through the Clinical Students Society. Standard hospital bed linen is provided; 1 pillowcase, 1 sheet and 1 Blanket. Students are advised to bring additional blankets and warm bed clothes if they are concerned about the weather. All flats are fully heated. Towels will also be provided, however students may also wish to bring their own. 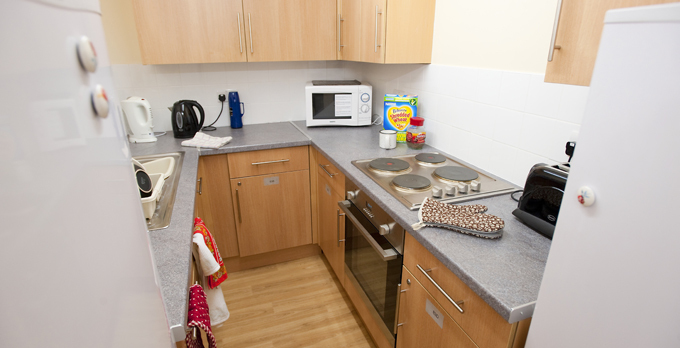 The communal kitchen is shared only with the elective students who will be occupying the other three rooms. It is equipped with basic cooking equipment, plates and cutlery. The Clinical School arranges cleaning on a weekly basis in the communal areas. Students are expected to keep the kitchen and communal areas clean between visits from the cleaner. Cleaners will not have access to the individual bedrooms except on changeover days. Each Friday used bed-linen will be replaced with clean bed-linen if it is left outside the bedroom. Coin-operated laundry machines are located on Level 1 (basement) at Grantchester House and Harston House. Each bedroom is fitted with a lock and the main communal door to the flat that is also fitted with a lock. In addition Granchester House is fitted with an external security door entry system so only people with a security fob can access the main building. Addenbrooke’s Hospital employs 24-hour security staff. Internet access is available for a small fee which you will need to request from the Grantchester House reception located on the ground floor. The Hospital is part of a large campus which includes accommodation, shops, restaurants and a fully equipped sports centre called the Frank Lee Centre. All of this is just a 5 minute walk from the accommodation. Addenbrooke’s Hospital has over 8000 people working on site and off-site and accommodation within walking distance of the Hospital is highly sought and expensive to acquire. For this reason and for the ease of our students dedicated accommodation is provided.